I devour audiobooks. They are my companions on walks, my de-stressors, my mood-lifters, the way I survive Los Angeles traffic and my kids playing drums in the next room. They are -- especially these days when I want to be in bed by 9 and seem to fall asleep in the middle of reading a sentence -- my way to squeeze more books into my life. It was a dream of mine for Hidden in Paris come to life in audio form. It took a while to meet the right voice actress; one who could slip effortlessly into the skin of each character and one who could pronounce the many French words in the book. I'm thrilled to have partnered with Phe Caplan for this. Phe does it all and makes all of us --or at least me-- seem boring in comparison. She's a mother of two little kids, an actress who looks 20 years younger than she is, and a children's book author who manages to live on two continents, sharing her year between Los Angeles and Berlin. Working with Phe was an easy, fun, collaborative and enriching experience for me. Learn more about Phe Caplan here. 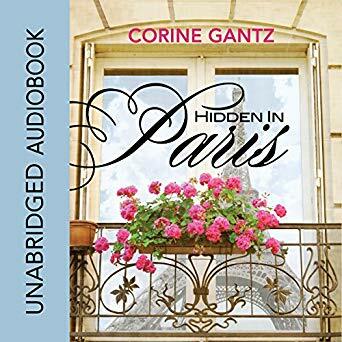 ​Here is the book trailer for the Hidden in Paris audiobook. I hope you love it!